08 Már We are looking for a new Think Visegrad Fellow. Apply now! About: Think Visegrad is a think tank plat­form for struc­tured dia­logue on issues of strate­gic regional impor­tance. The plat­form aims to ana­lyze key issues for the Visegrad Group (Czech Republic, Hungary, Poland, Slovakia), and pro­vides rec­om­men­da­tions to the gov­ern­ments of Visegrad Group (V4) coun­tries, the annual pres­i­den­cies of the Group, and the International Visegrad Fund. In addi­tion, Think Visegrad pro­vides vis­it­ing fel­low­ships to non-Visegrad expert fel­lows. Think Visegrad was estab­lished in 2012 by eight V4 think tanks with coor­di­nat­ing abil­i­ties. This so-called core net­work, how­ever, remains open to coop­er­a­tion with other think-tanks from all V4 coun­tries. Think Visegrad is funded by the International Visegrad Fund. Eight vis­it­ing fel­low­ships will be avail­able for Summer or Autumn of 2019. Each of the core net­work think tanks (see list below) will host one non-V4 expert fel­low. Each selected vis­it­ing fel­low will have the oppor­tu­nity to take part in the institute’s activ­i­ties for a period of up to eight weeks. During this period, each fel­low will be expected to develop a pol­icy paper and deliver one pub­lic pre­sen­ta­tion on a pre-agreed topic. A lump sum of €3,000 will be given to each selected vis­it­ing fel­low to cover all nec­es­sary costs and expen­di­tures related to his or her stay at the host­ing insti­tute (e.g. lodg­ing and local trans­port). Each fel­low will also be respon­si­ble for pay­ing all taxes and related fees, includ­ing health and social insur­ance, from this amount. 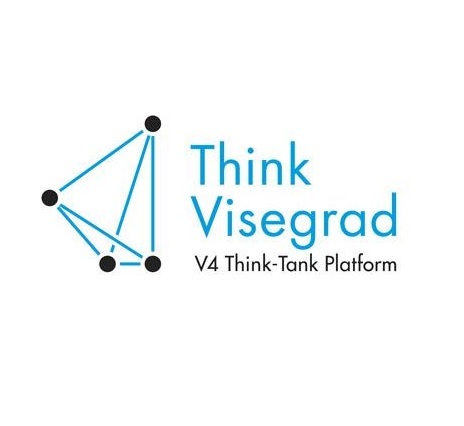 Think Visegrad—V4 Think Tank Platform will cover the cost of travel to the host­ing insti­tute for the vis­it­ing fellow. Topics: Fellowships are avail­able in all areas of research in polit­i­cal sci­ence, inter­na­tional rela­tions and eco­nom­ics. Chosen top­ics should com­ple­ment the research focus of the host­ing insti­tute, and there­fore the appli­cants are highly rec­om­mended to check the institute’s web­site before sub­mit­ting an application. Duration: The dura­tion of fel­low­ships varies from 6 to 8 weeks (based on agree­ment with the host­ing institute). Eligibility: Expert fel­lows from non-Visegrad coun­tries with at least five years expe­ri­ence in their field of research are eli­gi­ble. Preference will be given to appli­cants who have already made a sig­nif­i­cant con­tri­bu­tion in their field. Deadline: Application dossiers con­sist­ing of the appli­ca­tion form, struc­tured CV (includ­ing the list of pub­li­ca­tions) and a moti­va­tion let­ter (max­i­mum 300 words) are to be sub­mit­ted to thinktank@sfpa.sk by April 14, 2019.